Speaking with reporters following an informal meeting of the EU's foreign ministers on Saturday, Hungarian Foreign Minister Peter Szijjarto said that if the European Union wants its economy to return even a sliver of its lost competitiveness, it will need to return to a policy of pragmatic, strategic cooperation with Russia. "Sanctions will once again be placed on the agenda only at the end of this year, and I sincerely hope that the conflict will be resolved and a new chapter in relations can begin, because Europe needs pragmatic cooperation with Russia," Szijjarto said, quoted by Russia's RIA Novosti. The foreign minister added that "if we fail to renew pragmatic and strategic relations with Russia, we will lose a very important factor of our strength and competitiveness." The foreign minister confirmed that Russia was not the subject of any substantive dialogue during Saturday's meeting. "As far as Russia is concerned, we agreed that the points of the Minsk Agreement must be carried out completely by all parties." 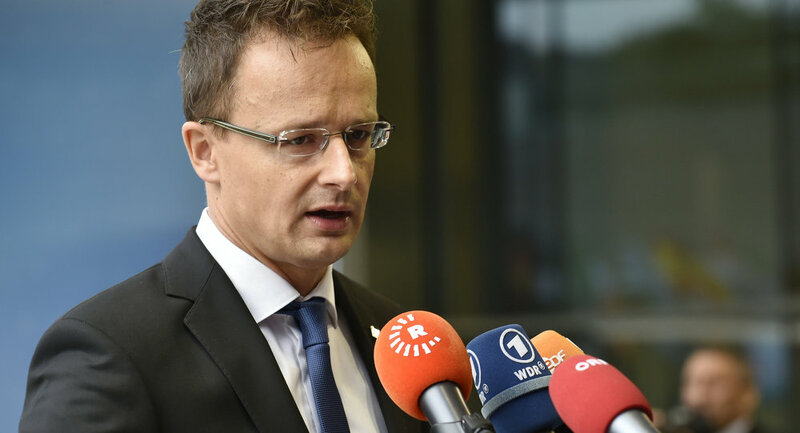 Szijjarto suggested that he made Hungary's position on the issue perfectly clear, noting that "the resolution of the crisis in Ukraine is in the interests of Russia, of Ukraine, of the members of the Commonwealth of Independent States and of the countries of Europe." The foreign minister emphasized that the crisis in Ukraine has resulted in significant challenges for Europe. "For example, Hungary has lost approximately 50 percent of its exports to Russia in the first half of this year, and our decline is not even the highest. We have made it clear that, from the EU's perspective, as far as returning at least a part of our lost competitive edge goes, we need a course of strategic and pragmatic cooperation with Russia based, naturally, on mutual respect for international law." This past summer, the Austrian Institute of Economic Research published a study on the economic effects of the European-Russian sanctions war on the countries involved. According to the study, Hungary's long term losses include 45,000 lost jobs, and nearly a billion euros in lost value-added trade revenue. Taking place Friday and Saturday, the informal EU foreign ministers' meeting is believed to have been devoted largely to the burning issue of the migration of refugees from the Middle East and North Africa to Europe. Speaking to reporters ahead of the meeting, Szijjarto defended Hungary's decision Friday to expel several thousand illegal immigrants to Austria and Germany, noting that the continent's refugee crisis is the result of a failure of the EU's immigration policy, exacerbated by "irresponsible statements" by European politicians.